Each year when I’m in Yerevan I make sure I visit Matenadaran (The Mesrop Mashtots Institute of Ancient Manuscripts).The Matenadaran is a major center with a unique and exceptionally rich collection of manuscripts, one that has become a symbol of Armenia. 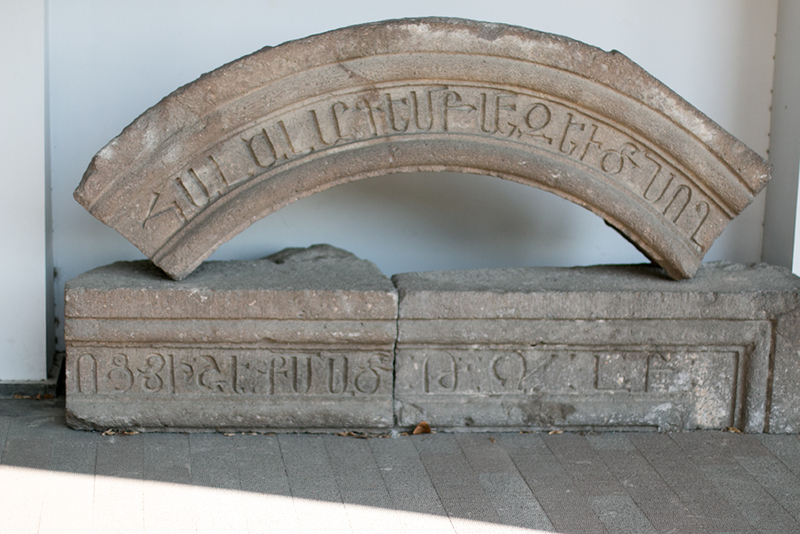 It is named after Mesrop Mashtots, who is credited for the creation of the Armenian alphabet in 405. In fact The Matenadaran is both, it is a museum of ancient manuscripts and a scientific research institute. It holds a collection of nearly 17,500 manuscripts covering almost all areas of ancient and medieval Armenian culture and science: history, geography, grammar, philosophy, law, medicine, mathematics, cosmology, alchemy, literature, art history, miniature painting, music, literature in translation, etc. 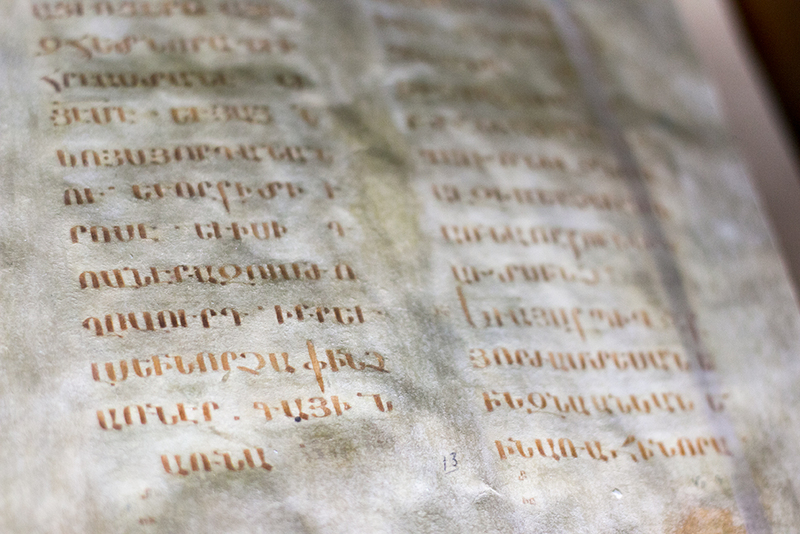 Many originals lost in their mother tongue are only available in their Armenian translations, preserved at the Matenadaran and are exceptionally valuable to the world of culture and science. The main objective of the museum is to preserve, restore, reproduce the manuscripts and to distribute and publish particular historically significant manuscripts in the languages other than Armenian. The State depository of manuscripts was designed and build by an architect Mark Gregorian between 1945 and 1957, but the main premises of Matenadaran have been renovated in 2011 where the research institute and new exhibition halls have been added. The Armenian collection is quite mind-blowing. From illuminated manuscripts like the Echmiadzin Gospel (989) and Mugni Gospels (1060) to prominent large sized manuscript 'Homilies of Mush', the largest surviving Armenian manuscript that was created between 1200 – 1202, written on parchment and measuring almost 55x70 cm. 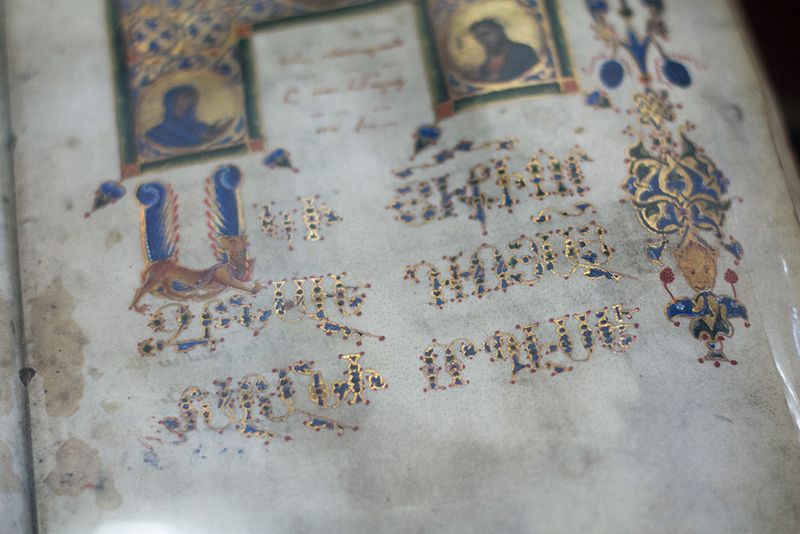 The Echmiadzin Gospel (picture above) was written by scribe Hovhanes at the Monastery of Bgheno-Noravank in Syunik (989). Besides an impressive ivory plaque cover dated from 6-7th century, it has a contemporary (for that time) table design - column arrangements, frames, ornaments (well, unfortunately the book was closed during my visit). 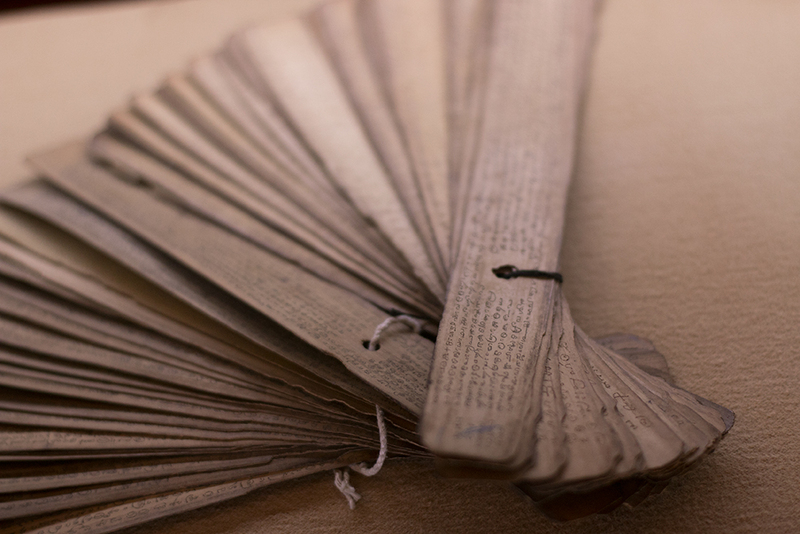 In addition to Armenian manuscripts, which form the main part of the Matenadaran collection, you can also find well preserved manuscripts in Arabic, Persian, Greek, Assyrian, Old Slavic, Latin, Ethiopian, Indian, Japanese and other languages. This time the exposition was slightly changed as Matenadaran has opened an exhibition of manuscripts Armenian refugees had saved during the Armenian Genocide in Ottoman Turkey. The saved manuscripts mainly came from Taron (the Muş Province of modern Turkey) Lim Island, Aghtamar Island, Ktuts Island, Van church and Varagavank. 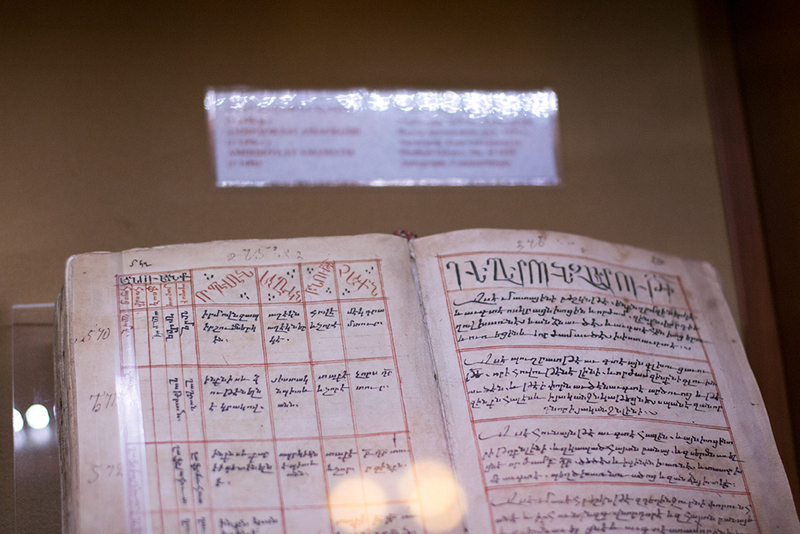 The highlight of the exhibition was Toros Roslin’s 'Zeytun Gospel' from 1256 and the 'Cilician Gospel'. The human figures in the illustrations of most prominent Armenian manuscript illuminator in the High Middle Ages are characterized by a delicacy of color, classical treatment of figures and their garments. The collection of Matenadaran provides a comprehensive panorama of Armenian ancient and medieval science, the written culture and history. An absolute must-visit if you are in Yerevan by any chance. “Ciao USSR” exhibition by Hayk Bianjyan. Yerevan 2015.